Impressionen von meiner Englandreise mit einer spirituellen Reisegruppe auf meiner persönlichen Webseite LICHTWELT. Die Reise führte zu einigen eindrucksvollen Kraftplätzen und sehenswerten Orten: Stonehenge, Avebury, Tintagel, Glastonbury, Wells und Thaxted. ein Ereignis, das erst wieder in mehr als 100 Jahren stattfinden wird). bei den Rosen unter dem Titel „Im Namen der Rose“ eine Meditation abhalten. Das Symbol der sogenannten Venusblume stellt ja eine aufgeblühte Rose dar. Treffpunkt ist um 19:45 im Schloss Stubenberg. wo uns die untere Feistritz-Zufahrt geöffnet wird. durch eine weitere Meditation für die Mutter Erde führen wird. die weltweit an diesem Tag ihr Bewusstsein für die besondere Energie der Venus öffnen. Bei Regenwetter finden beide Meditationen im Schloss Stubenberg statt. Am 6. Juni 2012 steht die Venus exakt zwischen Sonne und Erde. Dieser Venustransit ist ein markantes astronomisches Jahrhundertereignis. Venusisches Plasma strömt an diesem Tag mit Hilfe der Sonnenwinde in die Erdatmosphäre ein. Diese Verbindung von Venusplasma und Sonnenwinden wird im planetaren Bewusstseinsfeld der Erde und im Bewusstsein jedes einzelnen Menschen starke Bewegungen auslösen. Dies ist ein kosmisches Geschenk, das wir mit Dankbarkeit annehmen können, das wir verstehen sollten, um es für Heilungsimpulse nutzen zu können. Als sinnvolles und kraftvolles Element, um solche Impulse zu setzen, sehe ich das Projekt Venusblume. Wenn an diesem 6. Juni an vielen Orten der Erde mehr oder weniger gleichzeitig Venusblumen gelegt werden, entsteht eine kollektive Kraft, welche die Heilung der Liebe initiiert und das Feld für eine neue Liebesgesellschaft im Einklang mit sich selbst und im Einklang mit der Mutter Erde vorbereitet. In diesem Sinne möchte ich jeden, der sich davon angesprochen fühlt, anregen, sich daran zu beteiligen! 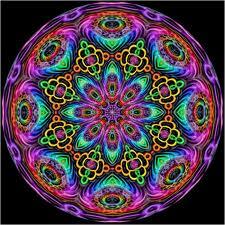 No matter where you are in the energy spiral, you are all rising in frequency. The energy surge accompanying the present alignments now occurring will cause massive jumps in your consciousness. It is only necessary for you to open your hearts to a degree you have not yet attained, dear Ones. The energies will assist you; you must only allow the awakening to occur. All across the universes a massive domino effect is occurring, and will continue to occur as you open and lead with your hearts. By now you are becoming quite adept at this and the question is only how much you desire to embrace the unprecedented surge of Light and Love energies being poured into your hearts as we speak. Dear beloveds, these are your moments to surpass all expectation of your ability to absorb the maximum of Light particles ever absorbed. It is up to you; it is up to you to harness them and catapult them in the form of intention and visualization for what the New Earth would look like if it were as balanced and abundant as an array of colors representing every hue of the rainbow in complete radiant explosion. You may have guessed it: You and each one of you and every Being of all the universes has the potential to light up like a firefly producing a kaleidoscope of radiant colors, each unique to each Being, but in totality producing such a beautiful combination, unique unto each part yet so balanced and synchronized in Wholeness. Imagine, if you will, this beautiful array where no one color or hue is diminished and seen as less or unimportant. Consider that each is allowed to shine to the fullest extent and value. You have just increased the voltage a hundred-fold, a thousand-fold by this allowance. What this creates is beyond words to describe. I don’t have to tell you how important each one of you is in this endeavor to increase the Light a thousand-fold, dear Ones. Take a moment now to visualize this and behold the capacity you have to bring in the new balanced feminine and masculine energy alignment to fruition. This is your time to shine, each and every one of you, and I will bet that you don’t even fathom the extent of the ability you have to break all barriers of your limitations, now and forever on into this year of your sense of linear time. Be whatever your hearts will hold, my brave Souls of Peace and Love. Be the Whole of what you can be and carry it forward side-by-side with your fellow Beings on into your glorious New Earth as One. I AM Sananda, and I am with you always. Copyright © 2012 by Fran Zepeda. All Rights Reserved. Permission is given to copy and distribute this material, provided the content is copied in its entirety and unaltered, is distributed freely, and this copyright notice and links are included.